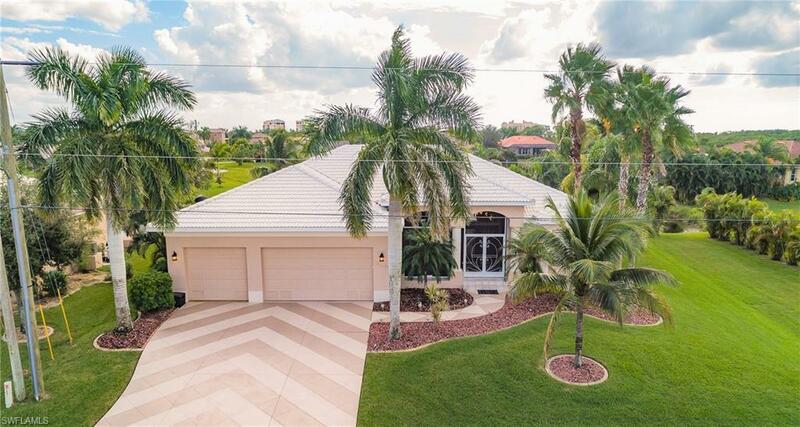 DISCOVER THIS CUSTOM POOL HOME WITH A 3 CAR GARAGE AND AWESOME LAKE VIEWS.Home offers 3 bedrooms, 2.5 baths + den and salt water pool/spa. Entering this home you have a screened front porch and double entry door with transom windows. The foyer has a custom painted wall and wood floors.The den is to the left and the dining area has sliders to the lanai/pool area and an amazing view of the lake.Plenty of room to entertain in this large kitchen with a center work island, double pantry closet, SS appliances, raised panel cabinets, granite counters and breakfast bar.The kitchen is open to the dinette area with aquarium glass windows, the main living area has custom shelving and sliders to the pool.With this split floor plan this side of the home has 2 bedrooms and hall bath.The spacious master bedroom has a tray ceiling, sliders to the lanai double walk-in closets as well a master bath with a soaking tub, double sinks and walk-in shower.Enjoy the true Florida Lifestyle with an inviting salt water pool complete with spa and pool bath.Home offers a large outdoor patio great for the SW Florida sunsets.The patio offers a grill area with a granite prep area just waiting for your built-in grill.